Hi there! Thanks for popping in on this busy Sunday! No need to read, just scroll through if you're looking for Christmas card inspiration! Perhaps you are more self-discipled than I am, but sometimes I need to take a break from making cards and go visiting other blogs and then what happens is I'll see squirrels some wonderful inspiration that makes me want to drop the ball and play along. Normally, I can count on Hammy to keep me from being distracted, but, you know, he has his own distraction problems right now. I was inspired by Chriss's black and white colors with a wee touch of gold and, of course, we need all the signs of peace we can get. 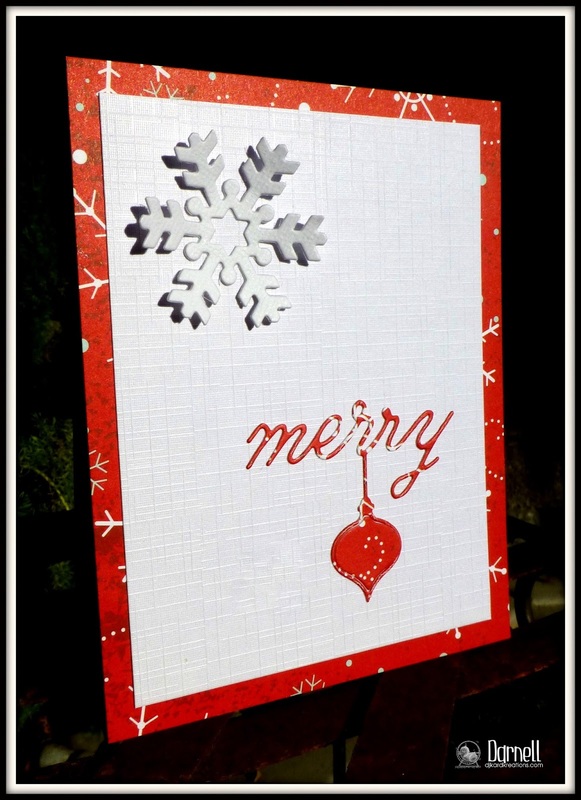 For my card, I used another one of the dies from the "Distressed Holiday Collage" set that I used in my last post. This corner die is one of two snowflake dies in the set. I embossed the white panel using a Sizzix snowflake e/f and then I cut out the peace sediment using a die from Winnie & Walter. That, of course, smashed my snowflakes, so if I were me, next time I would do all the die-cutting before the embossing. The black underskirt is a glittered foam paper. You can just make out the schparkle if you look closely. I attached a gold snowflake brooch to the bodice and we're done here. Snowflake Challenges: TIME OUT, Simon Says Wednesday, Virginia's View, and CAS-ual Fridays. Which said ornament shape pairs nicely with my NBUS Merry (dangling) Ornament die by Memory Box. This time I used a red mirri card behind the corner die and sediment openings. A big juicy red sequint serves as jewelry and we're done here. 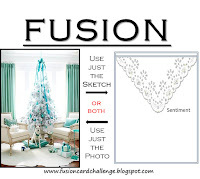 And then before I moved on with my blog visits, I thought why not check out the non-Christmas Muse Challenge. There I saw that Ardyth's daughter Kate is the Muse this week, so I had to play! It's important to encourage our daughters and sons and grands in the fine art of paper crafting and written communication! I hope Kate won't mind that I made a Christmas card. Oh, shoot, I just noticed that I forgot to write a hashtag in front of my sediment like Kate did! #Dodobrain. For my card, I used four individual and ancient stamps placed in a row like in Kate's design, with a sediment placed under the images. These critters are from the All Night Media stamp set, "Holiday Snowglobe". The sediment is from MFT "Stitched Stockings." I stamped it using the baby wipe ink pad technique. (You use reinkers in drops on a few layers of baby wipes; there are videos on YouTube.) It was my first time doing that and I thank Sue Rose for the inspiration. Freshly Made Sketches: Sketch below. There are 102 cards there! We've been a regular hamster card mill! I am so fortunate to have so many card pen pals and I added a lot of new ones since last year. Still, I was surprised after typing my labels to see that they came to seven pages, thirty to a page. Luckily, several of those labels get a family photo card, so I only need to make about sixtcough more handmade ones. Good thing I love making them! And if you've finished all your cards, my hat's off to you! Wow!! I am still sitting here blinking my eyes in amazement at the number of cards you have ready to send. I thought I was doing well by finishing 10 of them! All of your cards are just fabulous, but that one with the line of little snow critters stole my heart. I have a similar set, with snow-kitties and snow-dogs, and love how you lined them all up. WOW! That is a lot of Christmas cards. I have to confess I only made a handful for family and close friends, everyone else will get a bought charity card. Wow, you have been busy and what an impressive collection of Christmas cards you have created! I don't know when you are going to have to write and mail all of them - good luck :) Love the bling on your cards and the cute characters on your Muse card too! You have made a lot of work! Fabulous cards, love expecially your use of leftovers! My my my my my!!!!!! You have been one busy young lady! And yes, I am sucking up in hopes of receiving one of these gorgeous cards in my mailbox!! But seriously, they are all gorgeous, and the die-cut ones (love those corners!) are definitely mass-produce-able! Holly moly 102 cards!! I just love your new ones too ... Especially the snowman card and the shaker ... Terrific! Oh goodness! It seems that the hamster babies have given you a mega vitamin boost and your awesome card skills (and us :) have benefitted!!! Wow, you are brilliant! Such a bevy of styles and colours. You know that I am truly honoured that you played at MCV and what a beauty! I would love to try to make an artful background like this! I am also really amazed at all of the challenges you were able to link up to! So many gorgeous cards! I love the new Holiday Distress dies, I thought I could do with them, but now I think they are going to make their way into my shopping cart! I also LOVE the snowman and snowcritter card! You (or the hamster) do some beautiful work!! You are a queen of card making! And you have been very busy making wonderful and festive cards for the season. I enjoyed every one, but the one with the four images in the row really stood out to me. Those images look fabulous in the row. Then the shaker card! I'm a sucker for those. The colors are amazing. I'm so happy you get to play. :) Thanks for sharing! These are GORGEOUS! LOVING the hanging ornaments!!!! You beat me this year ... I only made 65 this year! LOL! Ok as soon as I can close my mouth, drop jawed, over the number of C cards you've made already! I'm struggling to get 16 made...dang ol hands aren't cooperating a bit. Have a wonderful week my friend. P.S. Love the cards you've shown today!! 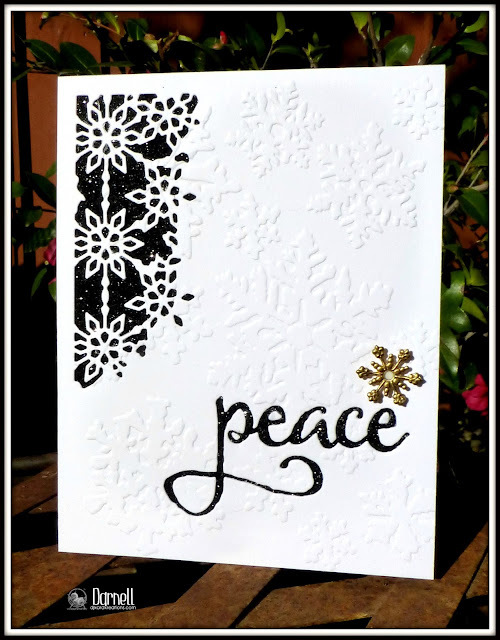 Just love the embossing paste technique you used for Christmasvisions. Busy girl! Those corner dies look really neat - I need to have a closer look at how they work - the effect is really stunning! 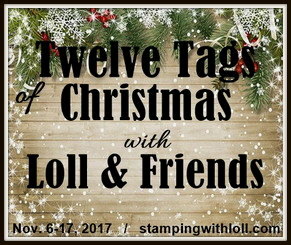 Also love those old Christmas stamps you used for Muse - I have them too (at least some of them) - I think I bought them the first year I was stamping! So glad you joined us at MCV and Muse this week, my friend! A gorgeous selection of card Darnell. The corner diecuts look lovely. I think my very favourite has to be the line of little Christmas critters. It is so sweet. Wow Darnell, we often get a twofer from you but a fivefer? :) What a treat. 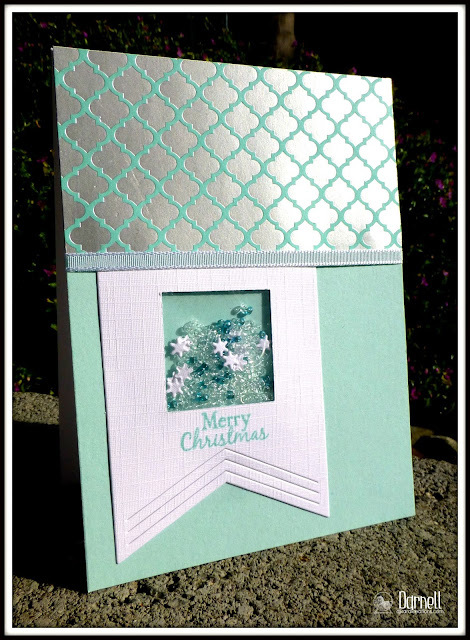 I especially love the first one with all the fun embossing and the last one with that beautiful aqua color. My hat is off to you for making more than 100 Christmas cards -- you are truly the bomb. Fabby cards Darnell, love your bunch today, I can clearly see where your inspiration came for each card. I had about 80 cards made this year. Travel schedules have required me to get them done early. For 2016...I really need to get started on them earlier. Have a wonderful Christmas. WOW you've been busy! That's so awesome! I don't have that many lol loving that shaker one!! Darnell, you are a really talented designer - I love these card and can hardly pick between them...I think the first might just edge it though. Wow, you've been busy. Me too. Using the same principles as you mentioned above, using leftovers from one card straight on the next. My jaw is so far dropped in awe and my breath so taken away that I'm nearly unable to compose a comment! Darnell: not only are these five cards gems in every way, but the number you've created so far...astounding! I'm still scrambling madly to get my own done (my mom took the 30+ I made) and finish the Advent Countdown thingy for Ms. T and Mr. C (they have Days 1-9 already, so I'm a tad frantic to get the others to them). The card you made for MUSE..oh my! It's the snowcat that gets me! Talk about a precious expression! Off to pick up my bike-riding husband (yes..in the snow) and get back at 'er with the crafting! Wow! What a fabulous bouquet of card! I enjoyed admiring each and every one. :-) Great work done, dear Darnell. You are a SERIOUS CC elf!! 102 cards so far. Wow! And they're all so beautiful. There's a lot going on in that brain of yours, isn't there? You come up with so many great card designs, ideas and embellishments. You never cease to amaze me! Well the mail will certainly be in profit from you this Christmas, a fabulous post and stands back in amazement at the number of cards you have made considering the Misters ailments these past few months, you deserve an award. Wow! 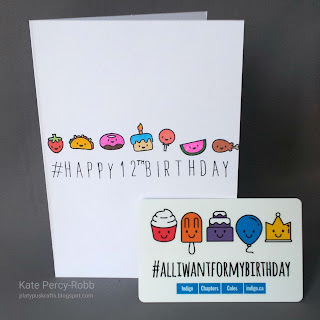 You were certainly inspired and I can see the inspiration prompted some lovely card designs. All are super fantastic! Well, this is an impressive array of card goodness. When do you get time to breathe? Anyway, each one of these card is challenge winner worthy...you must have a massive stash...but it looks like you got all the good stuff. Only one question. Has the Mister forgotten what you look like yet? I figure that he's rarely seeing you, because your glued to the Hamster...er...Playhouse. Let me know how training those critters to write goes...I may need to borrow them. Whoa! You have been very busy! Such inspired cards -- I do like that shaker card you made -- pretty mint color! Oooh wish my CC stash looked like yours! LOVE your snow critters card! Your five cards are fabulous! I can't believe how many cards you've already made. Oh to be so organised! Oh, Darnell, your MCV card is so darn cute and a perfect take on Kate's card. 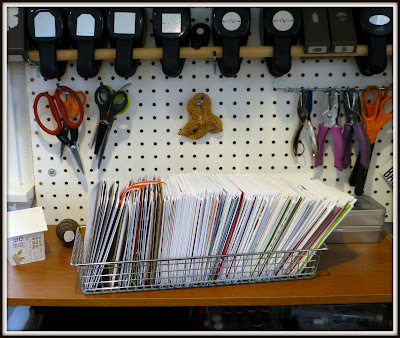 You've been a busy crafter to make all those Xmas cards ... I'm sure the recipients will love them. Your blog is so cheerful ... love it. Here I am again. I should have posted once for both cards. 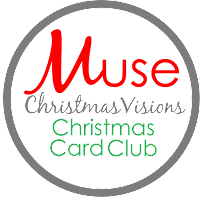 Your Muse card looks so peace-ful. Wonderful take on Chriss' card. *sigh* I wish I could create this many cards all at once. #dayjobproblems Wonderful inspiration! I found your blog by accident after clicking on one of your contributions to a challenge that I just loved. Well I have enjoyed your blog all the more! I got lost jumping from post to post and even a couple of other blogs I hopped to from yours. I love your sense of humor and your love of words. I am now happily following you and will look forward to your posts in my inbox! I have no blog and am somewhat technically challenged but feel free to contact me via my email if you'd like. I can't pick which card I like best...you are one serious and talented card-maker, Darnell! Thanks for showing us "how it's done"!! 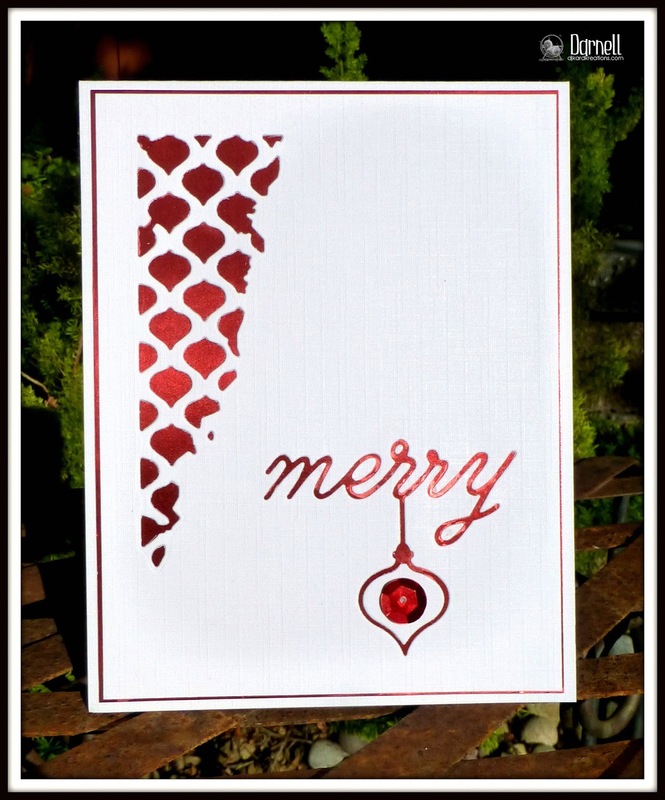 Love the color contrast and the glitter element for your V .V Challenge card! So glad that you join the fun over Virginia’s View “All About Glitter” Challenge! Darnell...you have been quite the busy hamster! I love all your wonderful creations and there is no way to choose a favorite! Love them all and wishing you a fabulous week. You are Miss Busy here!!! Wow, what a collection of beauties you have in store for us! But you need to post another picture of your hamster babies. Wanna see them growing up! You clearly were on a roll and cranked out fabulous Christmas cards! Oh boy oh boy, what a post full of Christmas JOY!! These are all fabulous Darnell, but I'm quite smitten with the Muse card, very cute!! Wowzer! 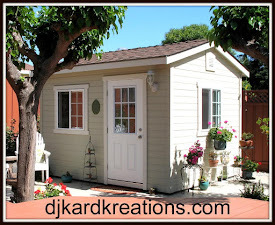 Have you stayed in your playhouse for a week? You made a LOT of cards! You have a ton of pen pals, and I'm sure they'll all be blessed. Great cards!!! Fab batch of cards! Love them all but especially the shaker one! Wow, girl, what a lineup! So much inspiration! Love that sweet, little, shaker banner on our take! And the silver sheen is fantastic! Thanks so much for playing along with our last challenge at Colour Me...! Well I always think I have done wel if I manage to complete one card in a session so I am in awe at how productive you have been with this bevy of beauties! Watch out for an email from me with a shameful confession! Wowzer Darnell, so amazing Christmas cards! Hard to pick a favorite, they are all so great. The two first are very modern and elegant, what a great look... And I just adore the cute small SU stamps you used in your last card. Wow again. :) Thanks for taking TIME OUT and joining our challenge! What a gorgeous collection of cards, Darnell! I love them all, and my fave is your take on Kate's Muse card...so fun! Looks like you've put a real dent in your Christmas card-making...WOW! Sure wish I had your discipline...Way to go!!! That is such a stinkin' cute card for Muse, Darnell! Love it! WOW You've been so creative Darnell! Awesome cards! Love your take on the muse challenge.... so cute! I remember some similar stamps from All Night Media too... wish I had them! lol We do make each other want stuff don't we! lol TFS and thx for visiting my blog too! 'preciate it so much! Wow, wow, wow Dippy...........not only a plethora of gorgeousness with your cards but then you show us the very tidy box of cards ready to go out to friends, fellow bloggers etc. You are an inspiration my friend! 😊BTW if you train Hammy and his offspring to sign your signature there is a very loving home over here in Somerset for a very clever hampster! YeowZers! You have an impressive supply of Christmas cards completed, Darnell! As I have said many times before, I always surprised that the 25th creeps up and I am not ready for Christmas every year! And I love your cards today, especially the shaker card, you are incredible. Hats off to you, Darnell, for being so in front with your Christmas cardmaking! I need to get a serious wriggle on to catch up. My out'n'out favourite is that quartet of critters, especially the dog with socks on his ears (I have a similar All Night Media stamp somewhere). hello Darnell, I have been trying to email you, can you check your spam folder please and respond. thank you so much! If you have hamster babies that can forge your signature, I need to get some! I have cards made, but now need to sign and pop labels on them. 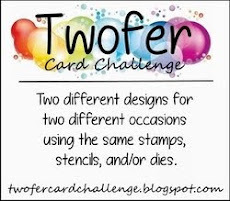 I need to figure out how to do that as I make the cards! Love all your inspiration! Especially love the shaker and the row of Christmas characters with the baby wiped sediment! Great job! ...so....70 x 30 = 210! Wow - that's amazing! Doesn't surprise me cuz you are a dear, sweet lady with a magnetic personality and the most fun blog to visit in the whole wide world! A gorgeous display of creativity in this post! Hammy is definitely in line for a promotion (or a big bag of Hammie treats) once the festive season is over. All the cards are amazing but the shaker card (love the color) and the quartet of critters are my fave! Well done pal. Anxious to see the next 108 creations! WOW your on it with the holiday cards! 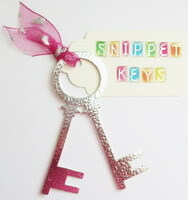 These are so beautiful too!! Great for you!!! I think I have 5 make oops! Always a Fun visit Darnell! What a productive day you have had....fabulous Christmas cards! Love the colours of the gorgeous shaker card. Have a wonderful week! Wow, wow, wow! You certainly were inspired by your blog hopping, Darnell! I've been feeling overwhelmed with all the wonderful creations I've seen--need to just sit down & start creating. I really love your Muse card & the last one--gorgeous! GORGEOUS cards!!! thank you for playing a long with us at simon says stamp! Holy cow, Darnell. That's some production line. I'm glad you explained about the corner die with sparkle behind because I was thinking you painted the embossed image. Your dangling ornaments are darling, and I love the shaker. I can't imagine having to make THAT many cards. I love making them but that's a LOT. Fabulous cards Darnell! I love the black and white - so stunning. Hi Sweetie~ looks like you are busy busy too! Lots of cards you made - look at all the people you are going to make happy! :) I love your cards with the dies and the glitter peeking through - so clean yet at the same time blingy enough to satisfy the magpie in me that loves it all! OMG, I have that adorable snow globe set but have never thought about using the characters out of without the globe! Great idea. They are too cute too leave in the box. Training the hamsterlets already? What a team! Gorgeous cards again today! I have been making so many Christmas cards and I have two batches mailed out and one more to go. Not much time for anything else! Love that silvery card....wow gorgeous! These are amazing Darnell - love the clever design of the first two. 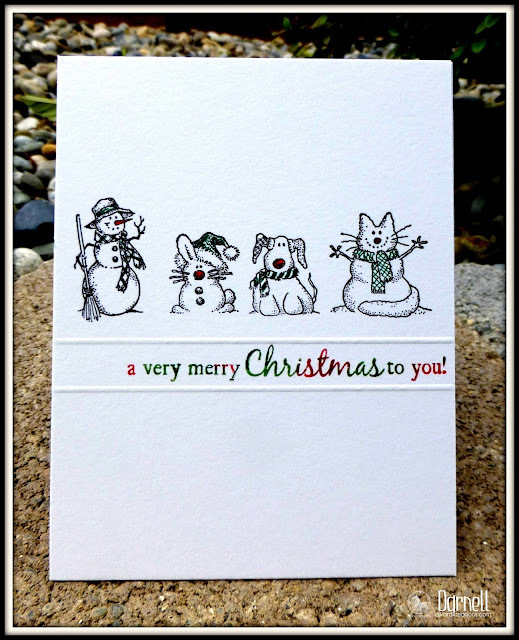 And those stamped critters are just adorable for your Muse challenge...no colour needed...the detail is gorgeous. Thanks for playing along at CAS-ual Fridays!